Try it now! Free call! To mobiles & home phones. That's right! We're giving away another ipad mini! 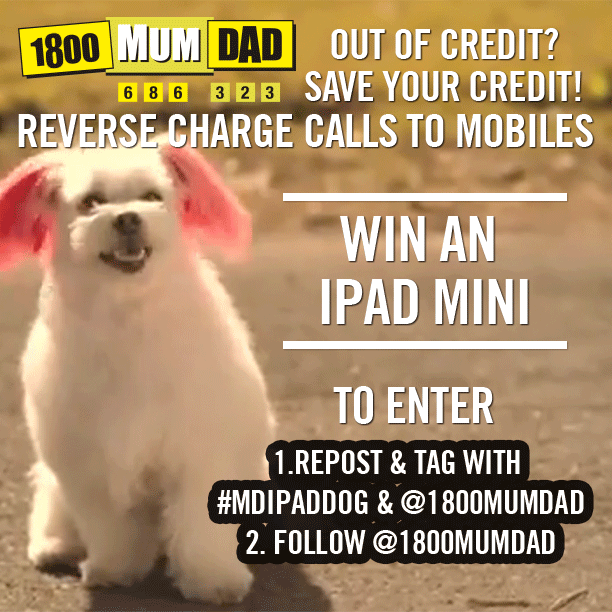 Simply repost the image to Instagram and tag with #MDIPADDOG and @1800MUMDAD and also follow @1800MUMDAD for your chance to win.